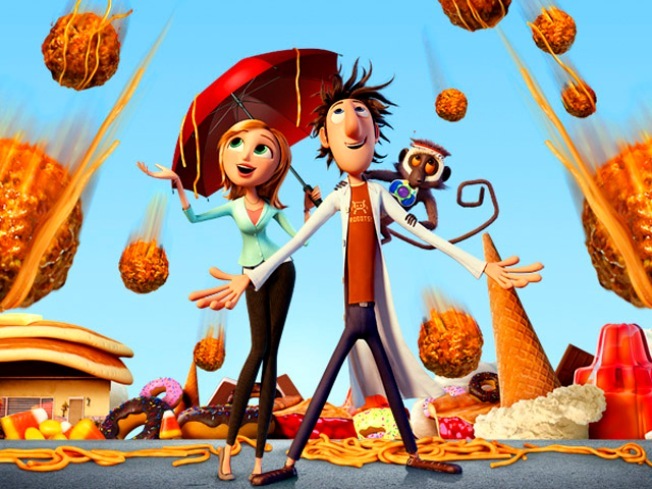 The animated tale Cloudy With a Chance of Meatballs took in $24.6 million to remain No. 1 for a second weekend. Movie fans are lining up for a second helping of "Cloudy With a Chance of Meatballs." The animated tale took in $24.6 million to remain No. 1 for a second weekend. It raised its domestic haul to $60 million after 10 days in theaters. "Cloudy With a Chance of Meatballs" fended off Bruce Willis' action thriller "Surrogates," which debuted at No. 2 with $15 million. Opening in third place with $10 million was "Fame," a new take on the 1980s music-and-dance hit about students at a school for performing arts. Michael Moore's documentary "Capitalism: A Love Story" opened strongly in limited release with a $240,000 weekend haul in just four theaters. The film opens nationwide Friday.